This stunning rug will add a touch of flare to your space. 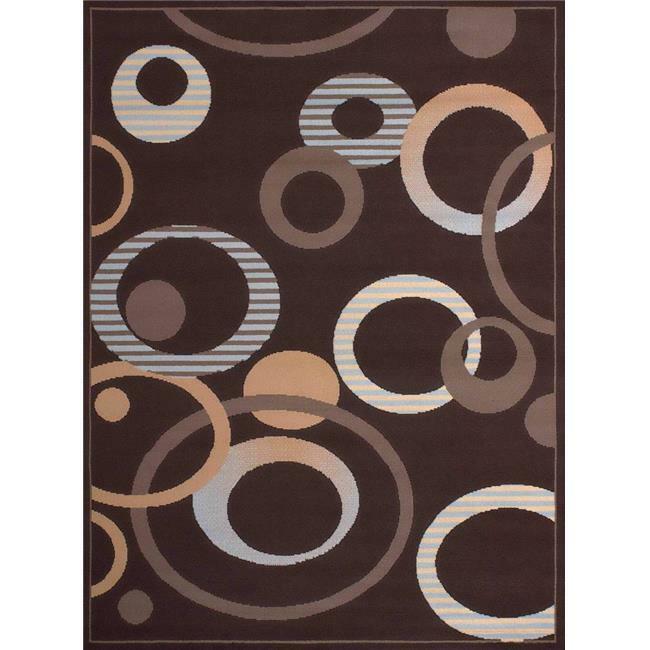 Using a circular geometric design with hues of chocolate brown, russet brown, and baby blue, this rug will definitely be a statement piece in your room decor. Exquisite polypropylene machine-made rug with jute backing for long-lasting color and durability.